The spray-painted motorcycle helmet wearing soldiers had laughably clunky assault rifle turret contraptions attached to their backs, cannons on their arms, and 'armor' panels with tubes running to their exoskeleton suits that supposedly lied beneath. Well, that clearly wasn't the case even at first glance. As the soldiers waddled slowly forward, it became clear that one of the fake hydraulic tubes had broken loose from the leg of one of the costumes, making the whole affair not even meet a low-tier Borg cosplay outfit at a small market Trek convention. The 'APC' was bad too. It's ungainly, has a civilian-like hobbled-together interior, and is equipped with a few cameras, some sort of weapons turret, a 'laser range finder,' and there are a bunch of smoke grenade launchers tacked onto it. The platform that the APC shell is built on looks like some sort of hodge-podge of commercial parts. Listen, the whole thing is really embarrassing and at the same time, in some ways outright amazing. The idea that it is 2019, yet a spectacle this bad could be accepted as credible, is mesmerizing. Jalopnik’s particular interest in the Kantanka Automobile Company, which Kwadwo Safo Jr. is CEO of, was centered on its claims to sell cars that were both designed for and made in Ghana. Neither of these things turned out to be true. 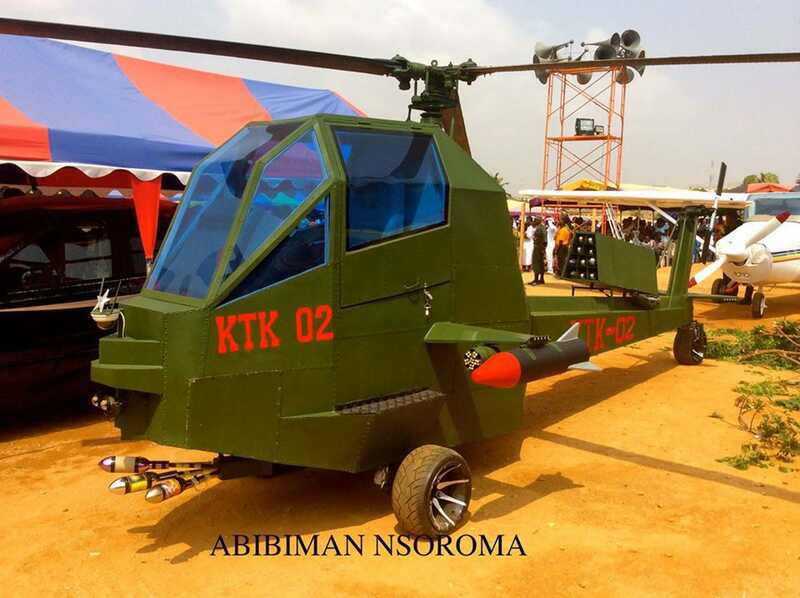 In addition to the automotive arm, Kantanka Group has a long history of producing similar military “innovations,” including a wooden “attack helicopter” and something that defies description and has features that appear ripped from an airplane and a trailer-mounted anti-aircraft gun. Even the vehicles that look more realistic in their basic design have obviously fake weapons and other “advanced” features. So yeah, the whole thing is an oddly fascinating disaster. Moscow is consistently spewing out a stream of technologically and fiscally unsubstantiated weapons programs and the western press is drinking it up.